A condenser utilizes membranes to separate Nitrogen from the air. A condenser also allows you to harvest salt water if it is placed next to a block of water. To use a Condenser, simply place it on any block. If the block under water, the condenser will produce vials of salt water every 10 seconds. Otherwise, the condenser will produce flasks of Nitrogen every 10 seconds. Membrane gas separation is primarily used to separate atmospheric air into its two main components, nitrogen (78.08%) and oxygen (20.95%). However trace elements like argon (0.93%), carbon dioxide (0.038%) and other inert gases can also be obtained this way. The membranes act as a permeable layer that gases move through at different rates, effectively separating the main components. Below you will find some helpful tips and lists for gathering the materials you will need to make the condenser. Note that to produce all of these parts, you will need access to a Furnace, Crafting Table, Chemical Processor, Machining Mill and Extruder. First, begin by collecting ethylene (you will need to distill crude oil to get this). In total you will need 656 flasks (about 10.5 stacks of flasks, or 11 cartridges). Process the flasks in either a furnace or a industrial oven. This will give you the bags of low density polyethylene pellets that you need. Next, create the metal die (fibers) by placing the 21 ingots on a machining mill in the specified pattern (example with Stainless Steel ingots shown). Now place the bags (at least 16 at a time) into the extruder with your metal die (fibers). Once you have created all of the fibers you need, arrange them as pictured to create the Membrane O and Membrane X. These membranes will then be placed on the crafting table to create your separation membrane. 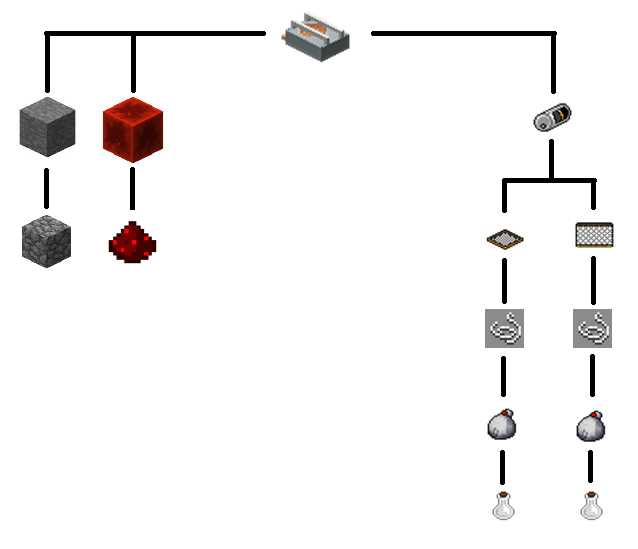 Once this step is complete, assemble the stone, redstone block and separation membrane on the crafting table as previously shown. Celebrate! This page was last modified on 22 October 2018, at 18:16.